Over fifty years ago, a dream was born. It was a vision created from the experience of one forward-thinking man; a man who cared deeply about all humanity and the human condition. He was set by fate the challenging task of helping young women who had been incarcerated by the California Youth Authority in what was then called The Ventura School for Girls. Upon his arrival at that institution as the resident Psychologist, he began a long and inspired career of giving to people all over the world the tools to rehabilitate and reinvent themselves when all the odds seemed to be against them. That compassionate and insightful man was Dr. William Glasser. Fifty years later, almost at the end of his life, Dr. Glasser came full circle back to the origin of his ideas which had begun to develop while working with the incarcerated young women at The Ventura School. 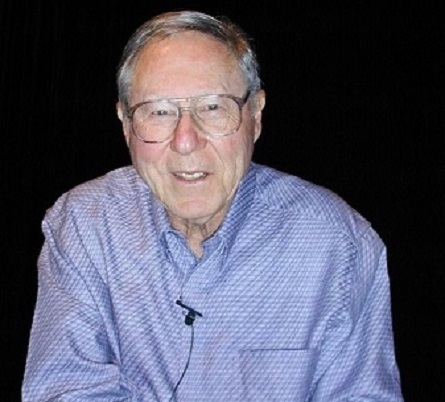 Just over seven years ago in 2008, he inspired and endorsed the creation of The Choice Theory Connections Program at CIW, under the excellent leadership of Dr. Les Triché and supported by Loyola Marymount University. As of today, this program has trained over 1600 women and is still growing. The state’s recidivism rate of 67% has been reduced to 2.9% of all women who had taken any part of the training program and were paroled since its inception. The kind of work Dr. Glasser began at The Ventura School has now become at CIW, one of his most important legacies. These are ideas that have stood the test of time. William Glasser died on August 23, 2013, but his life’s work will live on in the hearts, minds, and lives of the countless thousands of women who have learned, because of him, that rehabilitation occurs within themselves. It is the internal empowerment as a result of learning Choice Theory that inspires these women to make the choices to change their own lives. Dr. Les Triché is the Chief Engineer at CIW who developed a relevant delivery system for Glasser’s ideas to flourish and grow. His system, now called IECAST, Inc. is an incredibly effective rehabilitation program at CIW and potentially wherever prisons now exist. The reason for this is that anyone can learn Choice Theory. It has been very successfully taught in men’s prisons, treatment centers for addictions, in families with relationship problems, to small children, and teenagers in schools and at home, and to multicultural populations with mental health issues, just to mention a few. Many people get help just by reading one of Dr. Glasser’s books such as Take Charge of Your Life, or the book, Choice Theory: A New Psychology of Personal Freedom. Just remember, all these books can give you is information. What you choose to do with that information is up to you.